There are 17 results matching your search. 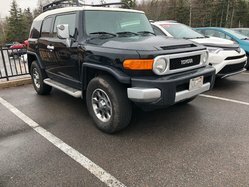 Looking for a used Toyota in Amherst at the best price in Nova Scotia and near Moncton? 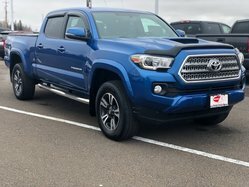 At Amherst Toyota, we have a large choice of certified Toyota vehicles and the best prices for all budgets! 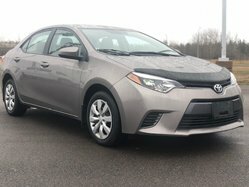 Whether you are looking for a reliable and affordable car like the used Corolla or even an SUV like the pre-owned RAV4, you will find the vehicle that you have always dreamed of! All our vehicles, including our second-hand Toyotas, have undergone rigorous inspection and were previously repaired, if necessary, by our very experienced technicians who are all specially trained by the manufacturer. And as most of our used Toyota in Amherst come from client returns, you can be sure you'll get your hands on a car with a complete maintenance history. That way, you can be sure never to have any nasty surprises! 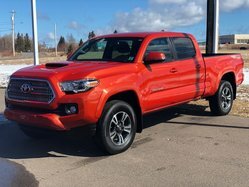 Whether you are looking for a used Camry, a used Tacoma or any other pre-owned Toyota in Amherst, you will benefit from exceptional prices thanks to, among others, our current Toyota promotions and our attractive Toyota financing rates. Regardless of your budget or your financial situation, we will help you find the vehicle that best suits your expectations! Fill out your application for pre-approval today and let our credit counsellors do the rest! Good or bad credit, self-employed, student, we will find the financing product that best suits your needs, that's a promise! 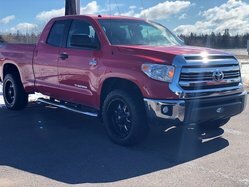 For more information on our extensive inventory of Toyota vehicles for sale in Amherst, visit our website or come see us at Amherst Toyota, your dealer par excellence in Nova Scotia near Moncton!